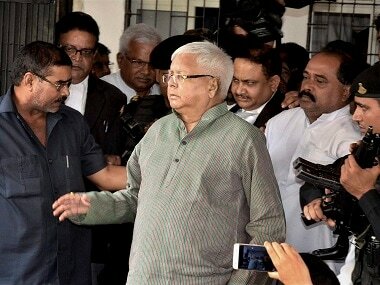 Patna: RJD chief Lalu Prasad Yadav, sentenced to three-and-a-half years in jail in a fodder scam case, is likely to seek parole to attend the last rites of his only sister, Gangotri Devi, who died in Patna on Sunday. Tejashwi Yadav, Prasad's son, said the family had tried to communicate the news of Gangotri Devi's death to Prasad through the prison authorities in Ranchi. He, however, expressed apprehension that his father might not be able to get parole in time, due to the legal procedure involved and the day being a Sunday. "As of now, we are making arrangements to take the body to her village home, where the last rites will be performed," Yadav, who had accompanied his mother Rabri Devi and elder brother Tej Pratap to his deceased aunt's house, said. 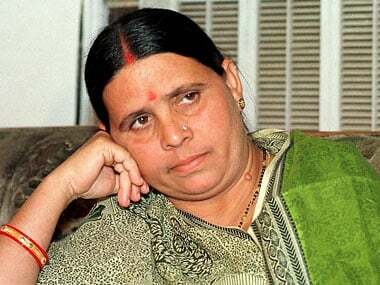 Rabri Devi, a former Bihar chief minister, told reporters at the residence of Gangotri Devi that the latter was about four years elder to the RJD chief and that she had not been keeping well for some time. "Yesterday, she spent the entire day praying for the release of her brother. 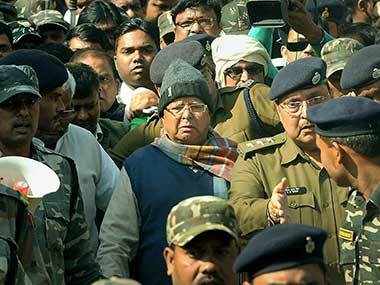 When she learnt that he was sentenced to jail for a long period, she was shattered," Rabri Devi said. Prasad was on Saturday sentenced to three-and-a-half years in jail and fined Rs 10 lakh by a special CBI court in a fodder scam case, related to the fraudulent withdrawal of Rs 89.27 lakh from the Deoghar treasury 21 years ago.